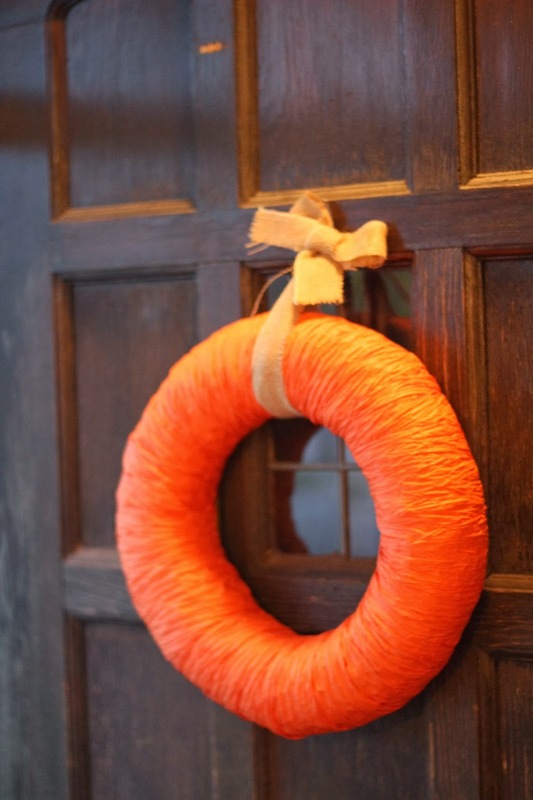 I decided to whip-up a cheap and easy wreath for Halloween. It was very easy--I crashed my craft stash! I also picked up a wreath at the thrift store for 99 cents. TOTAL COST: LESS THAN $1.00! I used Frog painter's tape to ensure that the paper ribbon attacfhed to the wreath. I simply wrapped and taped as I went along until it was completely covered. 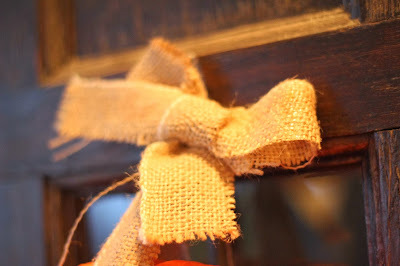 I cut a strip of burlap to create a bow (also to hang the wreath). I used a command hook to attach it to the door. 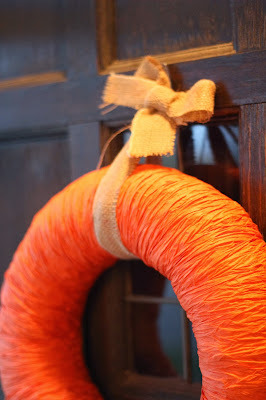 Overall, a quick and easy Halloween craft project. Perfect for the fall!